In his final years, Martin Luther King, Jr. become increasingly focused on the problem of poverty in America. Despite being widely known for his leadership role in the American civil rights movement, Martin Luther King, Jr. also played a central role in organizing the Poor People's Campaign of 1968. The campaign was one of the first to demand a guaranteed income for all poor families in America. Today, the idea of a universal basic income is increasingly popular, and King's arguments in support of the policy still make a good case some 50 years later. Martin Luther King, Jr. is best remembered for leading the American civil rights movement and preaching values of unity and nonviolent civil disobedience in his signature rhetorical style. What's lesser known, however, is what King was working toward in the final year of his life: Universal basic income. In his final years, King became increasingly focused on addressing and fixing the problem of poverty. For King, poverty wasn't an issue that affected only African Americans — though he noted that poverty on top of racial discrimination often makes a bad problem even worse — but rather a society-wide "curse" that affected all people, "including the two-thirds of them who are white," as noted in the last chapter of his final book. To jump-start the elimination of poverty, first in the U.S. and then abroad, King organized the Poor People's Campaign of 1968. 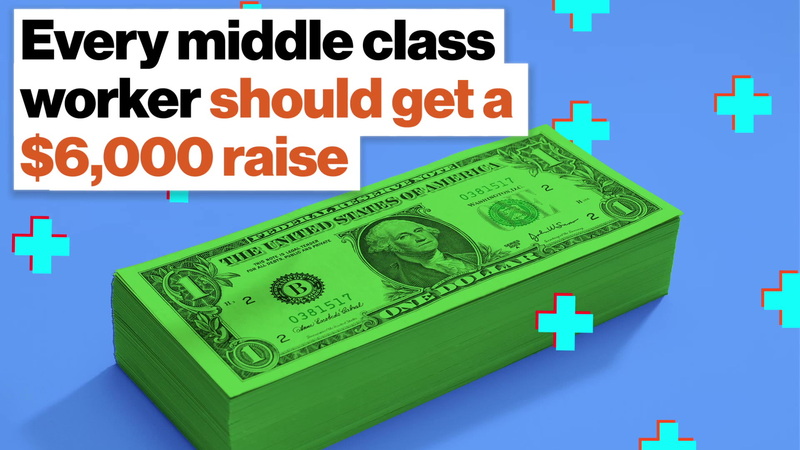 The campaign argued that the federal government should create an anti-poverty program that provided every poor American family with a middle-class salary. However, King was assassinated in April 1968, months before thousands of protestors marched and built a tent city in Washington, D.C.
Today, as income inequality rises and technology steadily continues to take away jobs, the idea of establishing a universal basic income is perhaps more popular than ever. The idea has been recently endorsed in some form by the likes of SpaceX CEO Elon Musk, Virgin Group CEO Richard Branson and Facebook CEO Mark Zuckerberg. Of course, implementing such a radical economic policy would surely come with problems and unforeseen consequences. But King's arguments for establishing a universal – or "guaranteed" – basic income make just as strong of a case for the policy as they did more than 50 years ago. Here are four reasons why King supported universal basic income. Now we are in a new phase. And that is a phase where we are seeking genuine equality. Where we are dealing with hard economic and social issues. And it means that the job is much more difficult. It's much easier to integrate a lunch counter than it is to guarantee an annual income. It's much easier to integrate a bus than it is to get a program that will force the government to put billions of dollars into ending slums. It's a wonderful thing to work and be concerned about integrating public schools — which I will continue to work for with vigor and with zeal. But I've also got to be concerned about the survival of a world in which to be integrated. And these issues to me are tied together in that sense. Now, early in this century this proposal would have been greeted with ridicule and denunciation, as destructive of initiative and responsibility. At that time economic status was considered the measure of the individual's ability and talents. And, in the thinking of that day, the absence of worldly goods indicated a want of industrious habits and moral fiber. We've come a long way in our understanding of human motivation and of the blind operation of our economic system. Now we realize that dislocations in the market operations of our economy and the prevalence of discrimination thrust people into idleness and bind them in constant or frequent unemployment against their will. The poor are less often dismissed from our conscience today by being branded as inferior and incompetent. We also know that no matter how dynamically the economy develops and expands it does not eliminate all poverty. While none of these remedies in itself is unsound, all have a fatal disadvantage. The programs have never proceeded on a coordinated basis or similar rates of development. Housing measures have fluctuated at the whims of legislative bodies. They have been piecemeal and pygmy. Educational reforms have been even more sluggish and entangled in bureaucratic stalling and economy-dominated decisions. Family assistance stagnated in neglect and then suddenly was discovered to be the central issue on the basis of hasty and superficial studies. At no time has a total, coordinated and fully adequate program been conceived. As a consequence, fragmentary and spasmodic reforms have failed to reach down to the profoundest needs of the poor. I'm now convinced that the simplest approach will prove to be the most effective — the solution to poverty is to abolish it directly by a now widely discussed measure: the guaranteed income.